M arc Darroze formally joined his father’s artisan Armagnac firm in 1996 and soon thereafter took the helm. Over the next twenty years he developed close ties to farmers and producers in Armagnac and became intimately involved in distillation. At the same time, in the course of his travels around the world representing the Darroze brand, he visited other distillers to see how they did things. He’s a dynamic man, Marc, ever curious and never one to sit still. In 2016, the first of the distillates arrived to the small Darroze warehouse in Armagnac and the first bottlings were undertaken. 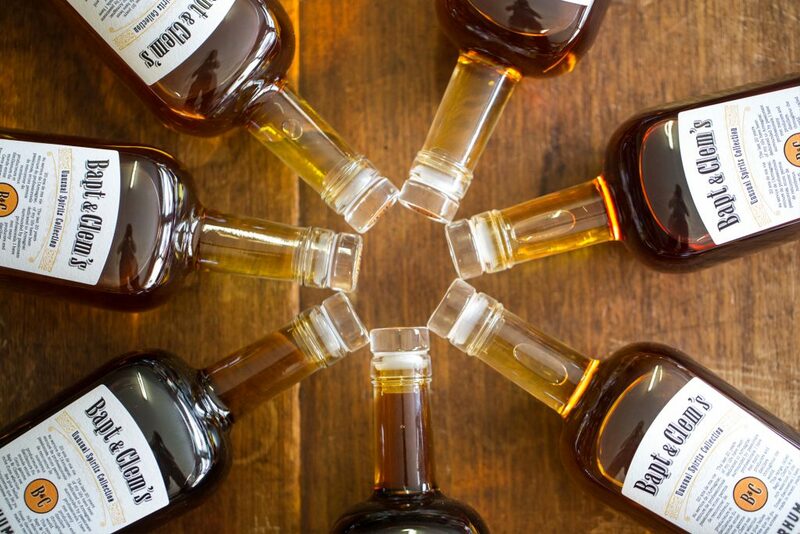 In the beginning there were seven spirits. 80% bittersweet and 20% acidic apples Two 200-liter barrels selected by Marc as an exemplary Calvados. Château de Montifaud 7-Year Cognac Ugni Blanc A venerable family estate. Grapes from Petit Champagne in the heart of Cognac. One 4-year-old barrel. Double distillation; 935 bottles. Molasses The smallest distiller on Maurice, and the youngest. Single and double distillation. Aged in 600-liter sherry casks with 6 to 8% evaporation per year, making for an early maturing distillate. 935 bottles. Molasses Aged in warm, humid conditions in 3-5-year barrels from Cognac. Single distillation; 2073 bottles. Molasses A blend assembled by Marc of rums made by different techniques: single distillation at 90 ABV and aged in older American bourbon barrels; single distillation at 61 ABV and aged in older American bourbon barrels; single distillation at 68 ABV and aged in a solera. 930 bottles. Sugar cane Single distillation and aged in older 600-liter French barrels. 1776 bottles. 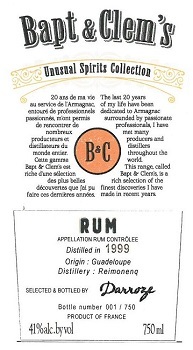 Reimonenq Rum Vintage 1999, Guadeloupe Sugar cane Single distillation and aged in older 600-liter French barrels. 615 bottles. Foursquare 5-Year Rum, Barbados Molasses A blend of spirits from pot stills and column stills. The aging was finished chez Darroze in barrels previously used to age late-harvest Juraçon wine. Great purity, excellent accessibility. Alcoholes Finos Dominicanos 8-Year Rum, Dominican Republic Sugar cane Brought up in bourbon casks in the Dominican Republic and finished in Gascony for ten months in decades-old Armagnac casks of 2,000 liters.